Thanks to the rise of specialty coffee and the growth of global barista competitions, what was once a humble foodservice job has been elevated to a lauded profession. In I Want To Be a Barista, a new book compiled by Hong Kong’s Holly Brown Coffee and Coffee Kids, the world’s top baristas are profiled in a way that shows us just how far the title has come in the last decade. Baristas aren’t just those who serve us our coffee anymore—though that is their integral role—they’re also often industry figureheads, sources of inspiration for those working in coffee. In her foreword to the book, Barista Magazine editor Sarah Allen rightly notes that, “careers are made in the barista championship arena.” Stars are made, too. 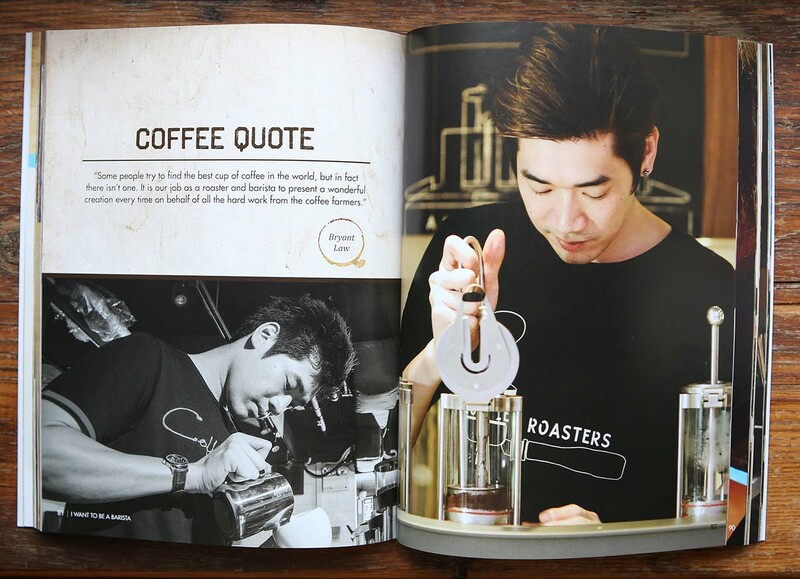 Designed in a format intended to inspire rather than educate, I Want to Be a Barista is filled with quotes from and glossy photos of World Barista Champions alongside stories of determination and passion. It’s a fun, diverse catalog of barista journeys, one that many in the industry but especially aspiring baristas can take encouragement from. With twenty percent of proceeds from sales of the book going to Coffee Kids’ food security projects in Mexico, Honduras, and Nicaragua, I Want to Be a Barista is worth a buy on several levels. Holly Brown compiled the book after all, and the company gets top billing with spotlights on its staff. For those outside of Chinese coffee culture, this provides an illuminating glimpse at specialty coffee’s potential there. Despite some “lost in translation” moments, the energy and youthfulness of Hong Kong’s baristas shines through. Since it’s founding in 2012, the company has grown to twelve locations throughout Hong Kong, with international expansion on the horizon. Asia’s size alone means there is plenty of room for coffee to expand there. With more clamoring to join the brewing fray, I Want to Be a Barista is just the first guidebook to aspiring baristas and unlikely to be the last. —Regan Crisp is Fresh Cup’s associate editor. Photos by Cory Eldridge.